Since early November 2016, waterside contemporary has been building an exhibition in instalments - starting with a single work by Marianna Christofides, and adding contributions from a further twelve artists, including Nick Hornby, Mounira Al Solh, and Marinella Senatore, week by week. 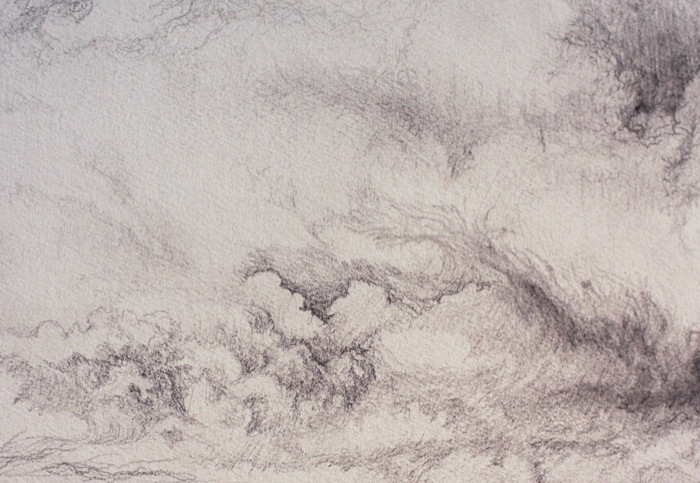 On 9 February, a drawing by Hans Rosenström completed the cycle. Between more substantial projects that are more emblematic of his practice, Hans Rosenström has been passing time by drawing storm clouds, and elsewhere composing the text of the Universal Declaration of Human Rights in the now scarce Letraset. 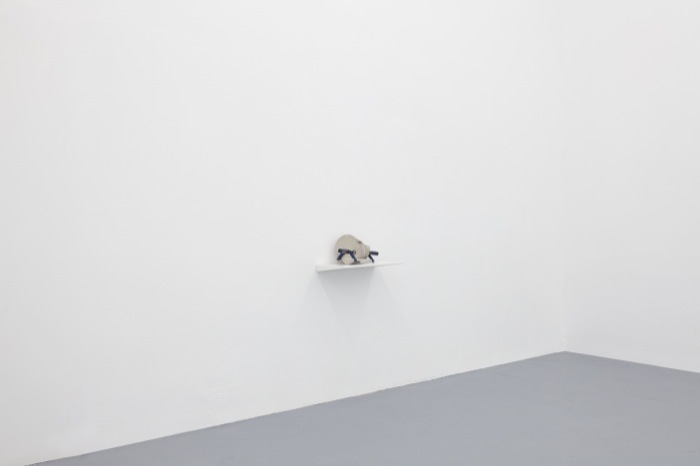 The two works by Rosenström are presented in the gallery unfinished, their making interrupted by the exhibition, and perhaps by weather, or political events. Rosenström’s artistic practice combines site-specific, spatial installations with sound, text, light and constructed elements. Questioning the place of the viewer in his installations, Rosenström sees their presence as pivotal for the existence of the work and only then an allowing for a psychological and physical experience within a specific moment or space can exist. This exploration of our physical surroundings provokes an emotional response, addressing and contemplating issues of isolation, group cohesion, privacy and spectatorship. A single fluorescent light marked with paint bathes part of the gallery space in green light: Nikita Kadan's Commons acts as its own guardian and marks its territory. Reproducing an austerity-times practice of defacing property to protect it against theft, the gesture in fact increases the value of the object in the context of art. Kadan works with painting, graphics, and installation, often in interdisciplinary collaboration with architects, sociologists and human rights activists. His practice is a critical investigation into the experience of present-day Ukrainians and their relationship to their Soviet past - a mapping that finds often uncomfortable parallels elsewhere. Anetta Mona Chişa & Lucia Tkáčova's The Reconciliation of Yes and No are geometric projections of extra-dimensional structures that are not normally experienced by human brains. The artists assemble this stuff of dreams (and geometry) from bones, a material that displaces it in time and thought: dystopian societies, circles of life, eternal salvations. The arrangements suggest that - just as two-dimensional ocular vision turns into three-dimensional perception with the aid of of a human brain - there isn't all that much missing between our experience of the explorable world and the next imaginable dimension. At the heart of the collaboration between Chişa and Tkáčova is the quest to find a means of reconciling the political with the aesthetic validity of artistic expression. How does art articulate resistance and stimulate social change without diminishing its aesthetic power or facilitating its own instrumentalisation? 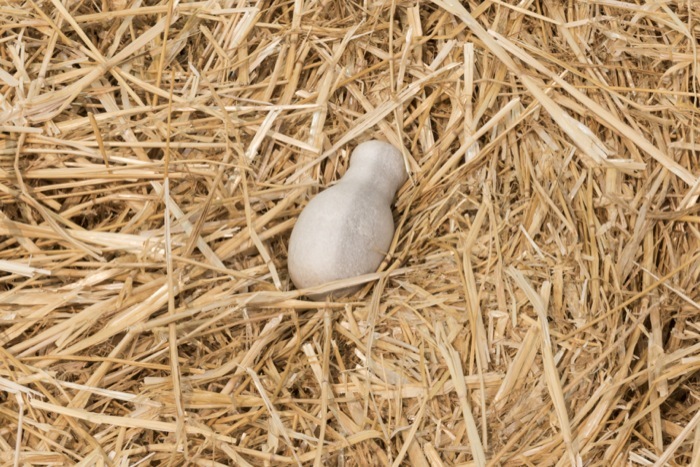 The duo have pursued this question across a range of media, including film, installation, text, drawing, performance and sculpture. 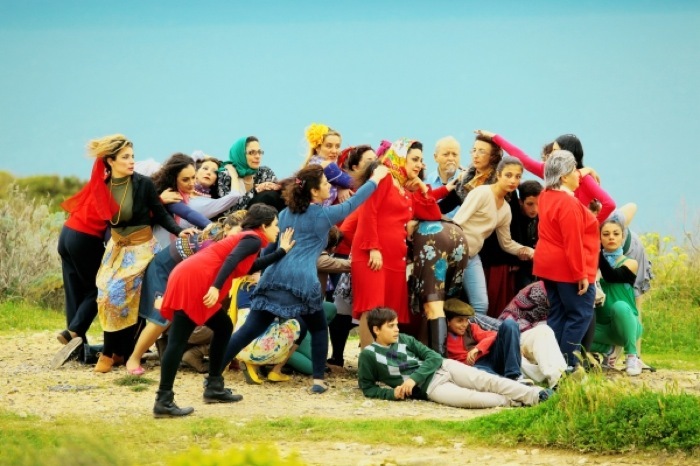 Marinella Senatore's School of Narrative Dance, established by the artist in 2013, is a nomadic project that emoloys choreography and music to bring together communities, fostering emancipation of the student, and activating processes of individual self-improvement. The free school's projects - collaboratively-devised performances, parades and films - have involved thousands of people across the globe, inviting them to tell stories by other means. The Notebook from the school's first year, presented in the gallery and recording aspects of rehearsals, research and performances, including ballet, filmmaking and stargazing in Germany, Ecuador, USA, Spain and the UK amongst others, serves a rich narrative and allows for many others to begin anew. Senatore's artistic practice is rooted in public participation, initiating dialogues between history, culture and social structures. Rethinking the role of the artist as author and the public as recipient, Senatore’s work merges forms of protest, learning theatre, oral histories, vernacular forms, protest dance and music, public ceremonies, civil rituals and mass events, reflecting on the political nature of collective formations and their impact on the social history of places and communities. 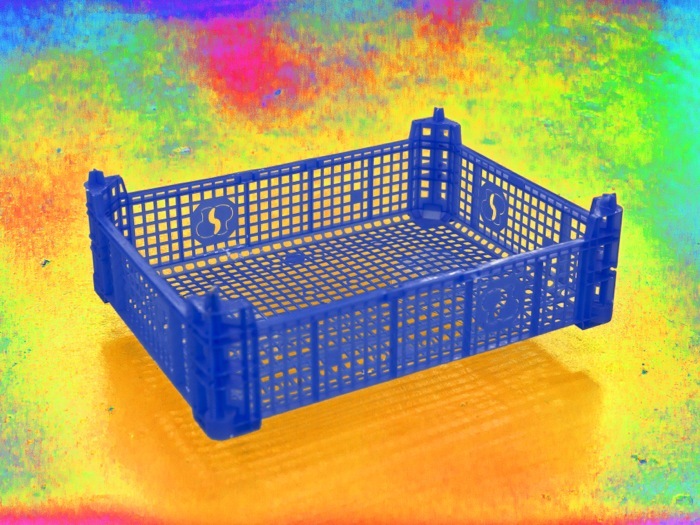 Used in the European food trade to transport unassuming vegetables from Polish or Dutch farms, tonnes of injection-moulded plastic crates complete their life cycle in landfill without receiving a blink of recognition, yet they're everywhere once you know to look. An installation composed of many dozens of these plastic containers collected by an uncredited artist from London's back alleys, doorways of restaurants, and corner shops turns an innocently invisible object into evidence of unsustainable addiction. The containers, Materials of burdensome convenience, neatly stacked and void of any organic matter, are ready to accept any weak metaphor, doubt or question. Kamen Stoyanov's Time for Sale measures out periods of transition - marking out the years since the watershed Berlin Wall fall in 1989, on an arbitrary scale and towards an arbitrary goal - and offers them as souvenirs. Each moment, represented by a baseball cap, takes a step away from a (red) past and towards a (blue) future - though it is unclear what happens at the edges of the colour spectrum. Stoyanov's artistic practice finds parallel between physical movement and process, and ideas of historical, social land cultural change. The artist performs - in actions or objects - with the same care in streets, fields, and art spaces, drawing on the accidental and ubiquitous readymade. 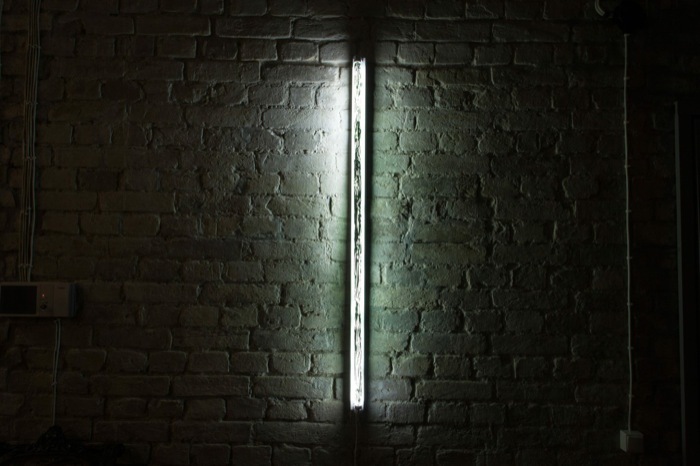 Inevitably, high and low culture mix in Stoyanov forms; his work is just as likely to consist of making his native Bulgarian yoghurt as neon sculpture. From here, he inserts himself into dialogues of power, progress, and geopolitics, without abandoning the intimate that surrounds his ideas. The Multilingual Parrot is a character in a series of anecdotes and semi-fictions I Want to Be a Party by Mounira Al Solh. 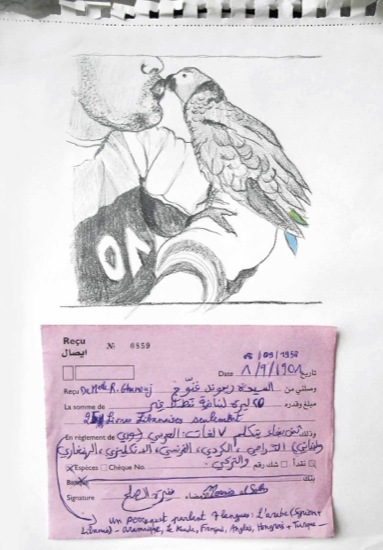 The valuable bird, conversant in no fever than seven languages, was put up for sale by the artist's uncle in 1958, to help the family survive through the tensions which rocked Lebanon in the 1950s and '60s. 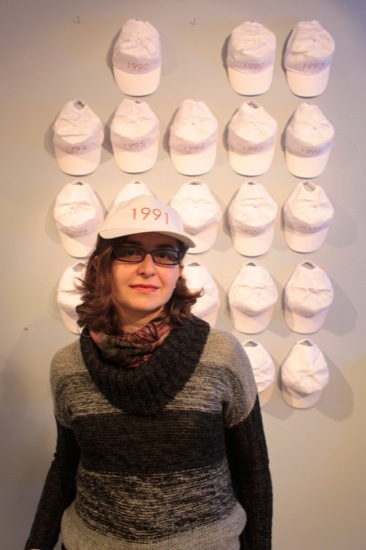 Al Solh uses a collection of paraphernalia - heirlooms, cars, musical instruments - to gather subjective memories of a familial histories and the intertwined political events. Al Solh's work, using video, painting, embroidery and performative gestures, brings together biography and history: the individual's experience becomes a key to speculating on wider social realities. An inherent tension plays itself out with humour, visible vulnerability, and self-knowing irony - an approach which allows the artist to take on complex and delicate issues such as nationalism or gender, putting herself, her friends and family directly on the line. Oreet Ashery's 12-episode video series Revisiting Genesis mixes fictional dialogues and real-life interviews with people who have life limiting conditions. It explores digital and and emerging technologies of dying, social networks, care, and feminist reincarnations of women artists. The films follow two nurses who assist people preparing for death in creating their posthumous digital legacy. The slideshows they create become a tool for reflection on cultural and social loss, friendships and memory as identity. Unorthodox, multi-layered and eclectic, Ashery’s expansive body of work confronts ideological, social and gender constructions within the fabric of personal and broader contemporary realities. Ashery mines counter-culture aesthetics and traverses photography, video, mass-produced and unique artefacts, text, commissioned music, and performance. 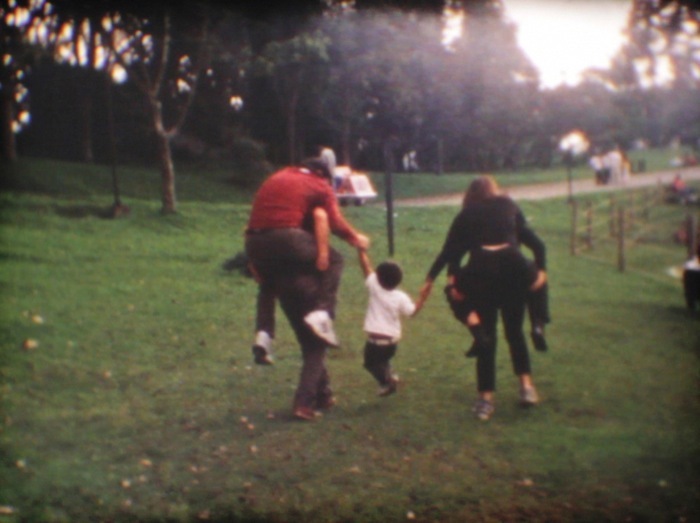 To tell the History of Humanity, Iván Argote invited members of his family to collaborate on a script for a Super 8mm home film. They proposed that History consists of eight chapters, among them ‘The Emergence of Homo Sapiens’, ‘Love and Hate’, ‘Colonization and Post-Colonization’, and ‘Uncertain Future’, which the as actors they allegorise through games and gestures in a public park. Spanning film, sculpture, and public action, Argote’s work encounters evolving social attitudes and norms as societies face daily challenges in historical, economic, political and moral realities. Making recourse to the history of his native Colombia and his own family, with disobedience a part of everyday culture, Argote links our contemporary realities with those of earlier generations. Argote is a proponent of the communicative role of artistic practice, and with irreverent humour and tactility, he exposes the subjectivity of prevailing norms, and creates the space for emotive and bodily participation in the way these are shaped. 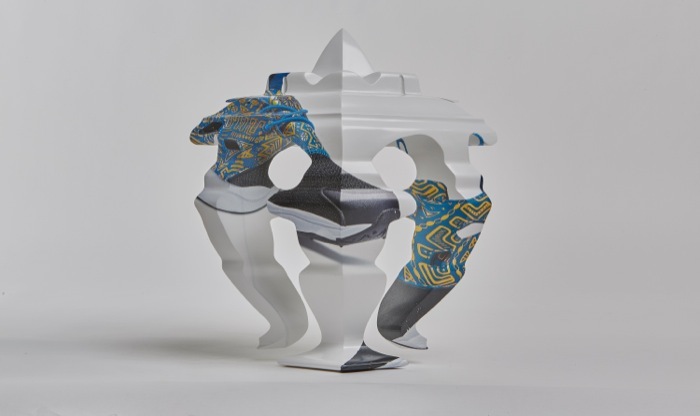 Nick Hornby’s Masks point to a fabled meeting of 1907 between Matisse and Picasso in which a collection of African masks inspired the invention of Cubism only weeks later. This story encapsulates the familiar grand narratives of art history: the myth of genius, inspiration, otherness, but also reflects on the necessary subtleties and gaps between them. Hornby replicates these broad strokes with precision and control: starting with a Matisse gouache, he manipulates the inherited form to arrive at a plausible back-story. 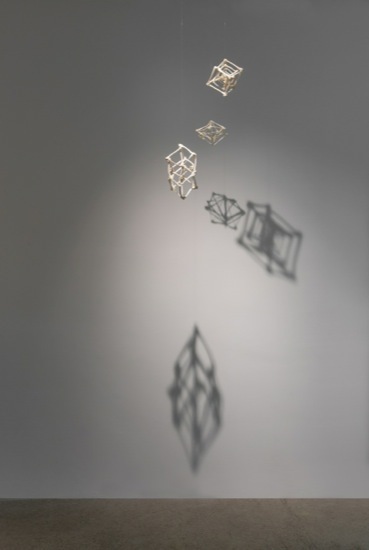 Hornby’s work is the physical meeting of historical critique and digital technology; behind hand-crafted sculptures of marble, resin or bronze are computer-generated models, expanding shapes, silhouettes and shadows into manifest examples of the collusion between disparate ideas. With Good Intentions, Núria Güell and Levi Orta started acquiring historical artefacts from areas affected by war and conflict, undertaking to care for and preserve them until they can be safely returned to their place of origin. This operation – funded by donations - both mirrors and contradicts collecting narratives of great institutions of Western civilisation. Güell’s practice exploits established systems of power and their effects on everyday realities. Her work, often originating from a personal or corporate action, materialises where subjectivity is artificially limited by institutions such as governments, and where moral and legal realms are not in alignment. Nicoline van Harskamp uses varieties of internationally-spoken English to propose a future shaped by the ubiquity and constant evolution of the language, and its inevitable divergence from hegemonic norms. 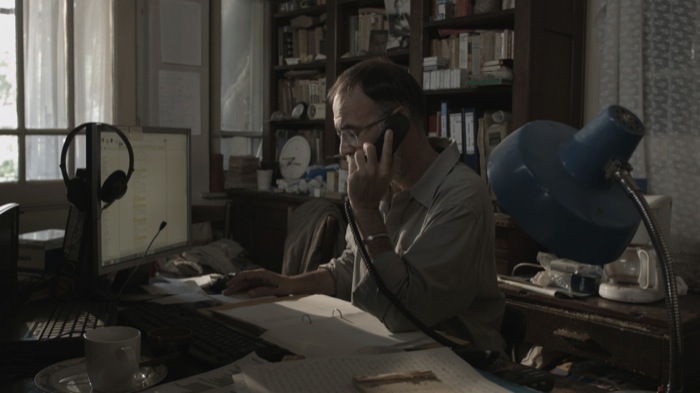 Portrait of an Englishes Collector sees a fictional amateur linguist conduct a methodical, though scientifically frivolous study of the lingua franca spoken in remote parts of the world. Through a series of fractured phone conversations, he uses the International Phonetic Alphabet to collect fragments of pronunciation and language use. Devised with actors, students, and sometimes linguist, van Harskamp’s performative actions, plays, documents and video works bring out the correspondence between content and the aesthetic framework in which it comes into force. Marianna Christofides' Perennial Limbo is a portrait of the artist’s late father, consisting of some 400 cardboard sheets cut out by hand and held together with metal clamps. Each piece contains a manuscript fragment transferred from the subject’s diaries – here obscured and inaccessible lest the representation be disassembled. Part of the cardboard head appears to be missing – repurposed by the artist in another work, where it serves as a topographical feature. Working primarily in installation, film and text, Christofides studies the multiplicity of images that form consensus and collective memories, treating each as an imaginary document. Her collection of moments, objects, places and physical experiences – sometimes brought into gallery spaces wholesale, sometimes represented in poetic imagery - creates an illusion of traveling through a familiar yet fictitious world. Events can unravel at geological speeds, and whole lifetimes appear in singular objects. The exhibition is supported by Arts Council England. With thanks to Laveronica Arte Contemporanea, ADN Galeria, Galerie Perrotin, Stanley Picker Gallery, Sfeier-Semler Gallery, Lorenzo Bruni, Gülsen Bal, Janneke de Vries.